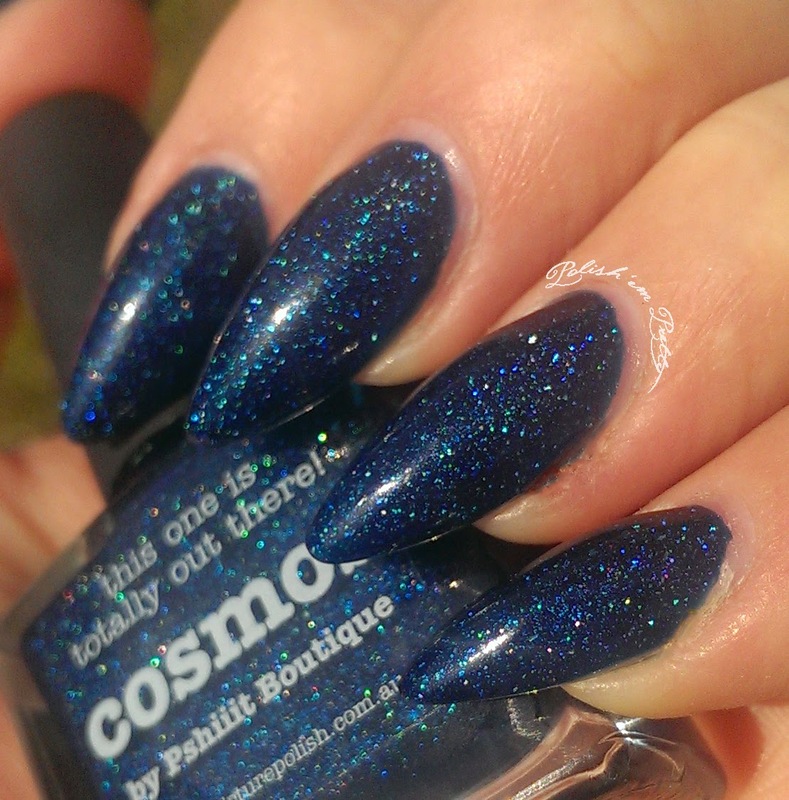 Today I have another gorgeous piCture pOlish polish to show you! 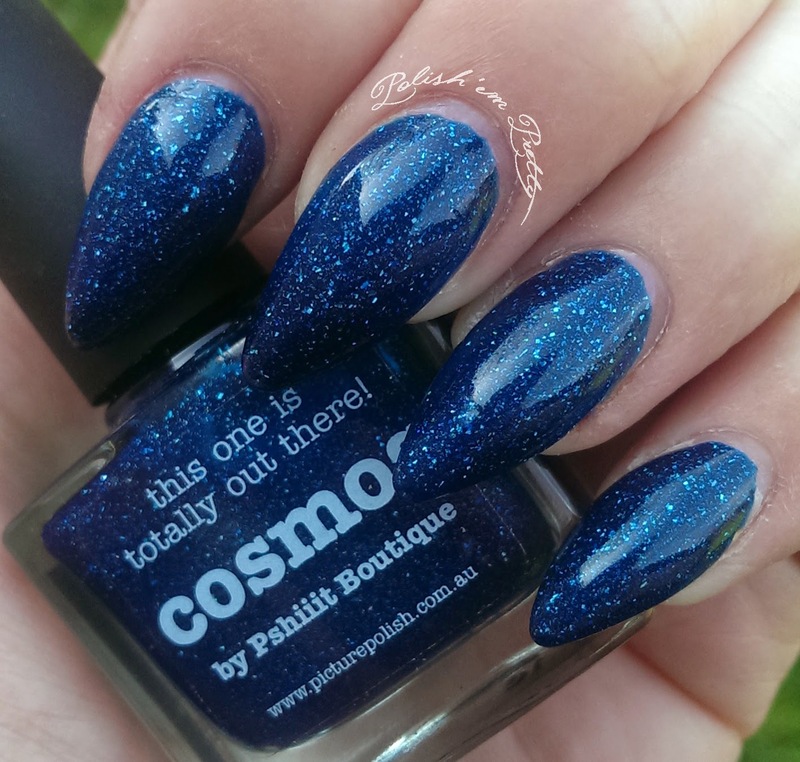 Cosmos is a BEAUTIFUL dark navy blue scattered holo polish from PP's collaboration collection, which is a collection that features polishes that piCture pOlish has teamed up with bloggers and their network partners to create. 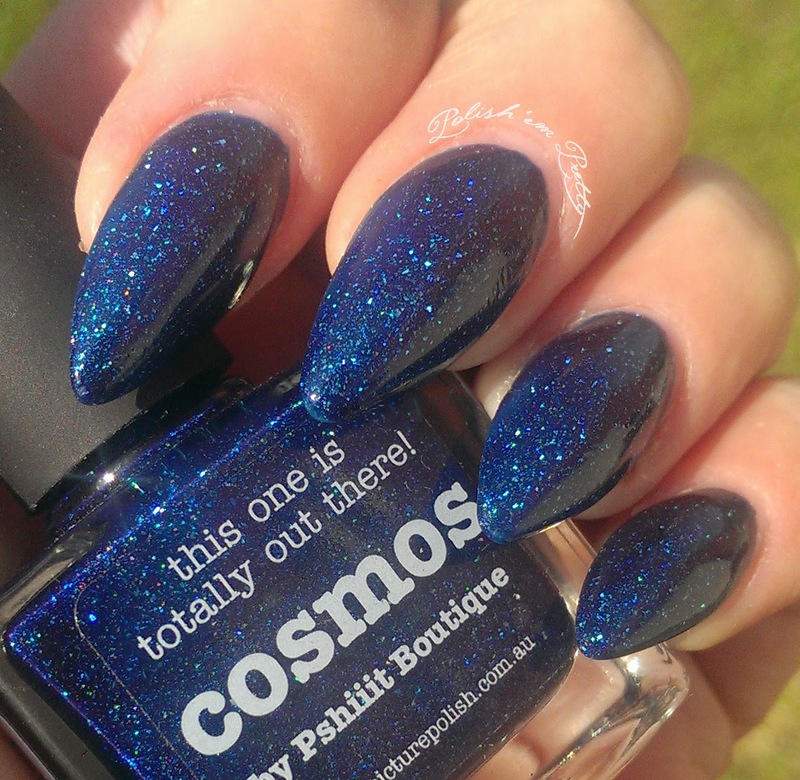 Cosmos is a collaboration with the talented Camille of Pshiiit. The formula on Cosmos is just great. It applies smoothly and easily on the nail and it's opaque in 2 coats only. 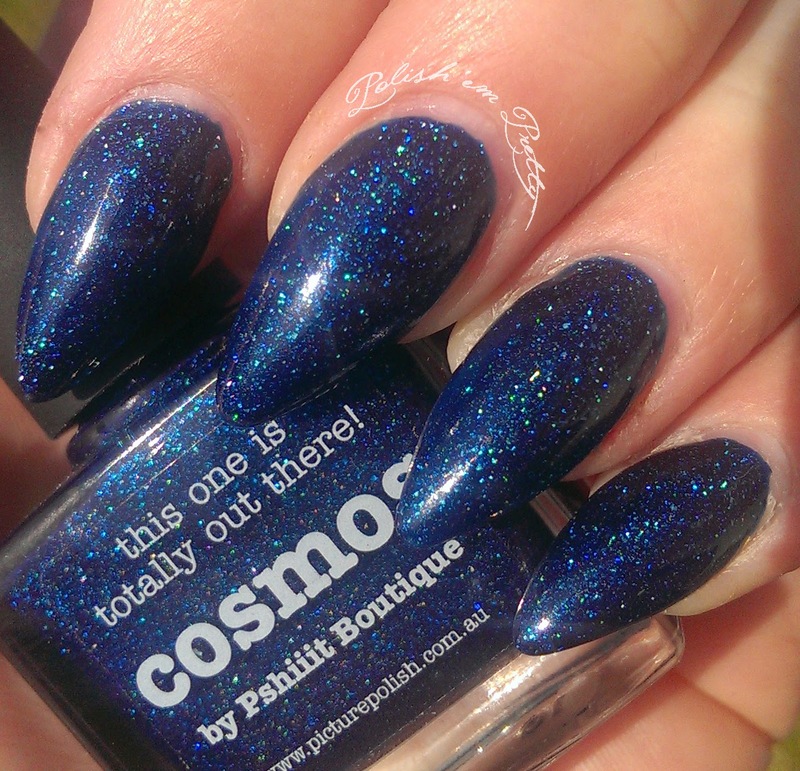 Furthermore drying time is great as well, so all in all another wonderful polish from PP! It has so much depth, but it somehow still looks squishy and almost jelly like. First 1 in the shade. And some in the sun. I tried making a little video to try and show you how much it sparkles. Ooo, sparkles and shine, I love it! It's really pretty! 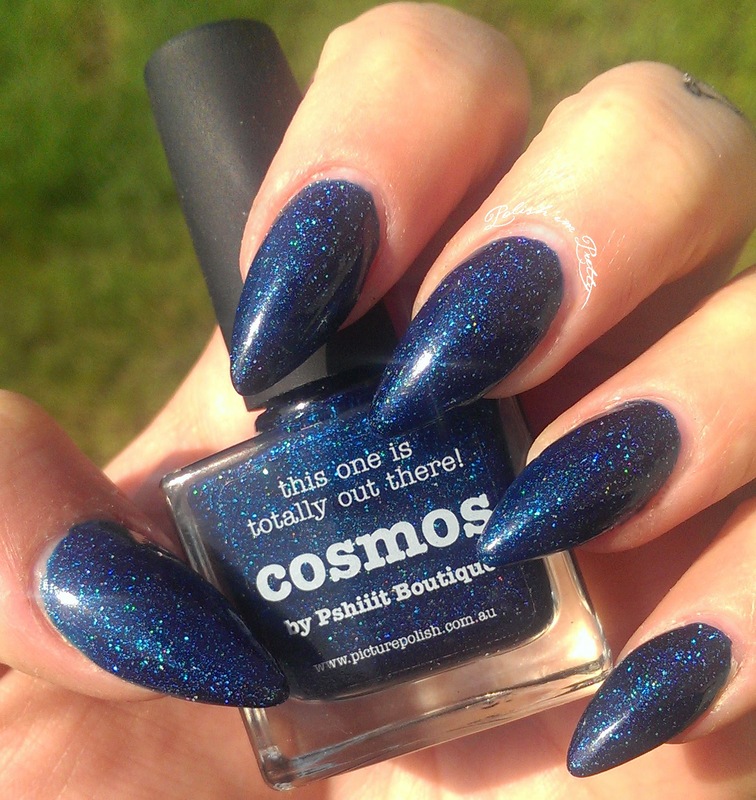 Cosmos is such a gorgeous polish! !